Following the success of JaipurPhoto in 2017, the international outdoor photography festival will be held from 23rd February until the 4th March 2018 in Jaipur. Produced by Orange Cat Productions in collaboration with the Department of Tourism, Government of Rajasthan, and with the support of the Birla Corporation Ltd., a total of fourteen exhibitions will be staged across the city of Jaipur. Locations include the Hawa Mahal, the City Palace, the Jantar Mantar and the Albert Hall Museum, with site-specific exhibitions and large-format prints adapted to the exceptional architecture of the venues. By exhibiting outdoors, in public locations, using large-size prints, an alternative way of viewing photography is being encouraged by the festival - one that is more accessible to the public and open to all. During the opening weekend (23rd to 25th February, 2018), a series of talks, lectures and screenings at the Jawahar Kala Kendra by renowned personalities from the world of photography will complement the festival's exhibitions. Our list of panelists features such distinguished speakers as Jason Fulford, Aveek Sen, Val Villiams, Anna Fox, etc. The inaugural lecture will be presented by the influential artist, curator, collector and ad man from The Netherlands, Erik Kessels. During those three days, Jaipur will become a platform for thinking and discussing photography. The festival is delighted to announce that for the 2018 edition, the American-born, UK-based artist, writer, academic and editor Aaron Schuman has been invited as the festival’s guest curator. 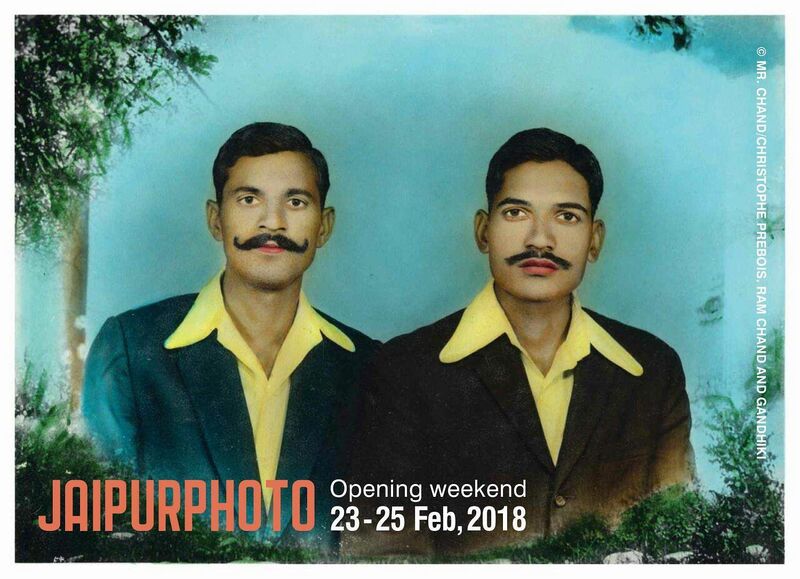 This year, both the title and theme of JaipurPhoto take their inspiration from the classic 1966 song by Simon & Garfunkel – ‘Homeward Bound’. Aaron will also be present during the opening weekend and available for interviews. JaipurPhoto will also host one collateral exhibition by Clare Arni at the City Palace presented by the Mumbai based TARQ gallery.